Arba Minch, the city of forty springs, is the final stop on our Ethiopian Rift Valley photo essay tour from where we brought you the stories of Hooka/Sheesh/Gaya by the shores of Lake Babogaya, the dream of an Ethiopian engineer to turn the plains by the foothills of Mount Zuqwalla to a breadbasket and the failed 250 million Birr experimentation of Meles in Nazret. This may be the tenth time we have covered this tropical city by the shores of the twin lakes of Lake Chamo and Lake Abaya. This is no coincidence as this city holds a special place in our hearts. And the fact that this city voted almost 100% Kinijit shocking Ehadeg people makes Arab Minch a city that no one can afford to ignore - anymore. 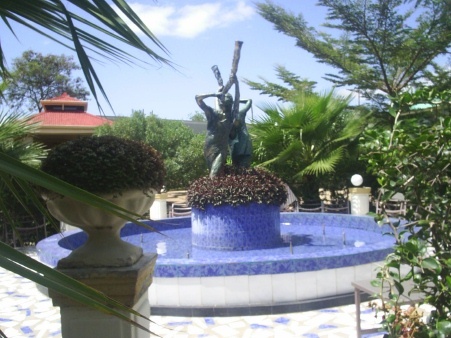 Next to Amharic, what is the most used language in Arba Minch and its environs? The city owes its existence and vitality to the twin lakes. 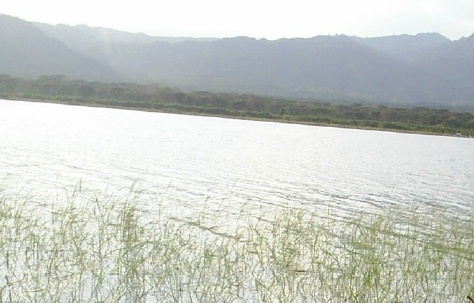 Lake Abaya is the largest lake fed by the Blaten river that brings reddish sediment from the Wolaita region of Sidamo. Lale Chamo is smaller than Abaya but more colorful, especially at sunset. 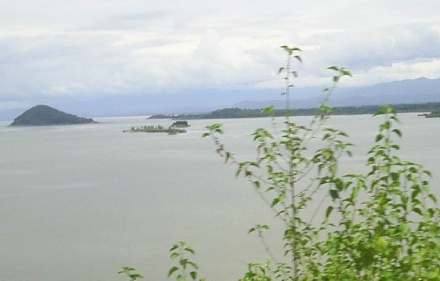 And just like the two lakes which could not be more different, Arba Minch is essentially a union of two unique and totally opposite cities, Secha and Siqela. Secha is built on a bluff overlooking the two lakes and the natural barrier that separates them (Egzer dildiy - Bridge of God). 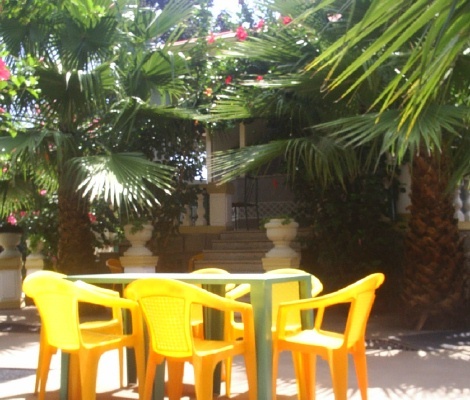 All the government offices and high-end hotels are loacted in Secha. Siqela, on the other hand, is noisy, rowdy, colorful and full of life. Between the two cities, Arba Minch manages to form an identity that makes it a very attractive destination. Tourism is now a growing business. More high-end hotels are popping all over town like the new Tourist Hotel shown here on the right column. The 'nib'/bee loving Sheikh has also been planning to build some resort hotels in the city; but no one we have met seemed to care for the man anymore. 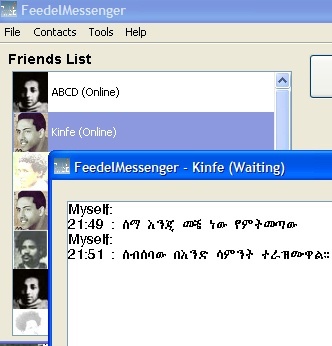 introducing FeedelMessenger - the first ever live Amharic chat program. 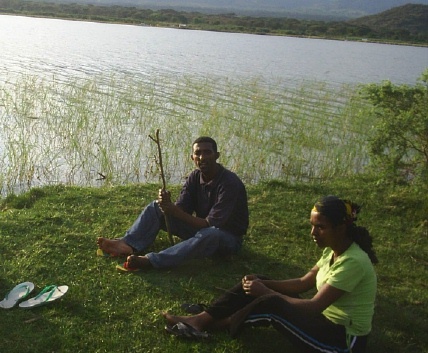 Download & start chatting in Amharic with friends & family in Ethiopia, Europe, & the Americas. Amharic Chat/IM . Gone are the days when pride of lions were roaming the forest near the airport and by the shores of the two lakes. Human settlement has increased in the greater Arba Minch area forcing the big animals further to the Omo region. One has to travel all the way to Jinka - the land of the Evangadi to see big games like lions and buffalo. But Nech Sar Park which is in Egzer Dildiy and accessible by a dirt road remains to be the jewel of the city and the region. Crocodiles, zebras and a variety of antelopes are still abundant. 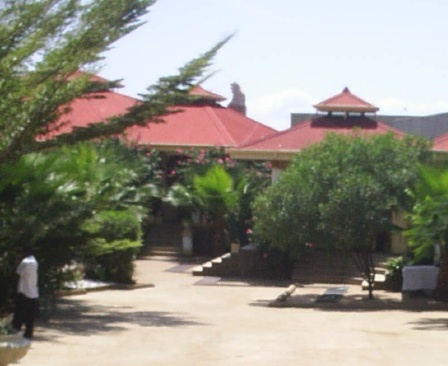 Arba Minch shares some unique characteristics with the city of Awassa, the other jewel of the Rift Valley. As a melting pot of Ethiopians from different ethnic groups as well as religious affiliations, Arba Minch (like Awassa) is - once in a while - tested by the forces of darkness unleashed by Mr. Meles Zenawi's experiments. Followers of Ethiopian Orthodox church and protestant churches have sometimes clashed as they compete for visibility. 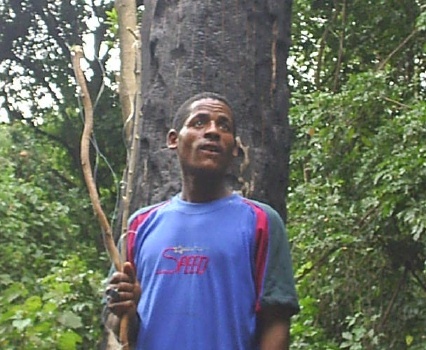 The Guji Oromos of Nech Sar have also been in quite regular conflicts with the Gammo people as they compete for garzing land. But despite these growing pains, Arba Minch continues to make progress towards becoming a challenger for dominance in Southern Ethiopia. As we wrap up this photo essay series on what geologist call MER (Main Ethiopian Rift), we wish Arba Minch and Awassa all the best in their quest to becoming important cities of the Ethiopian nation. Photos: Shown on left are scenes from Lake Chamo on a recent overcast day following the seasonal rains. 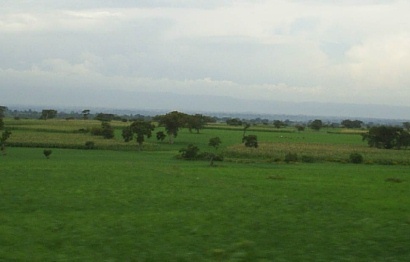 On right is shown Tourist Hotel and a farmland near Wolaita on the road to Arba Minch.